Right eye is glitched/broken, and Kueh often hides his eye with his hair. Kueh is about 6', and clumsy. He cannot see well due to one of his eyes being broken, and often bumps into things. He is quite shy, but is very friendly once he is comfortable. Kueh is good at fixing electronics and appliances, and is often seen as a butler or maid, caring for others and doing chores. Kueh is a robot, but isn't terribly fond of other robots. He is very interested in humans, and humanoid creatures. He wishes he were human, or at least looked less robotic. His memory was corrupted, and cannot recall how he was made, who made him, where he comes from, or what happened to his eye. His horns and tail are very sensitive. Kueh has no memory of his creator, and doesn’t know his main purpose for being built. 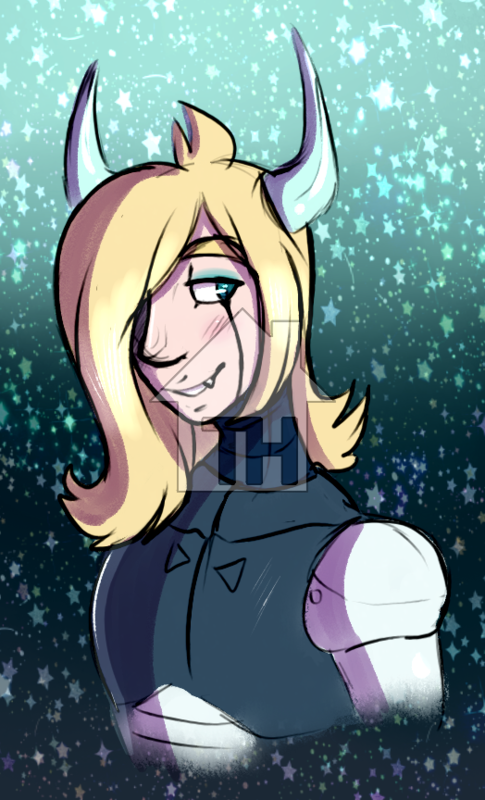 He was built as an incubot (incubus robot) yet he does not know this so he just considers himself as a weird robot, possibly with data corruption, a virus, or some problem that he cannot fix. For this reason, Kueh refuses to let others repair him. Kueh is very skilled at repairing robots, electronics, and similar things. He also does all his own maintenance mostly because he thinks someone may find out his secret fetishes if they work on him. Kueh has senses similar to a human (sight smell hearing taste touch) However, due to his glitched/broken eye, Kueh is quite clumsy. Kueh can also use his working eye like a flashlight if needed. His large frame and hips cause him to be clumsy as well as he often bumps into things. 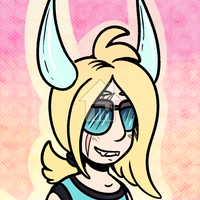 He sometimes also bumps his horns on things when he can’t judge it’s height. His tail is very expressive, and also can be a source of clumsiness as he trips over it when nervous, and it can wag enough to hit things. He also curls his tail around either of his legs or ankles when nervous but only realizes when it causes him to trip. If Kueh were human he would likely be approx. 21-24 years old. Kueh us average when it comes to running or jumping but he is very strong and can easily lift and carry large or heavy items. Both robot and non robo kueh are very similar in attitude and personality. Kueh is shy, and often likes helping others. His humanoid form has a scarred, blinded eye opposed to a glitchy robotic eye. Kueh lost his eye as a child when attacked by a large bird. Due to this, Kueh doesn't really like birds and can get very skittish around even the smallest birds. 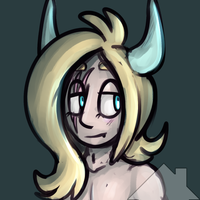 In disguised form, Kueh can hide his horns and tail most of the time, though finds it harder to keep his incubus bits (fangs, horns, tail) hidden when he's frustrated, or hot and bothered. Kueh generally always tries to cover his scar with his hair, unless he is by himself. a better view of his scar, he cannot see out of that eye. 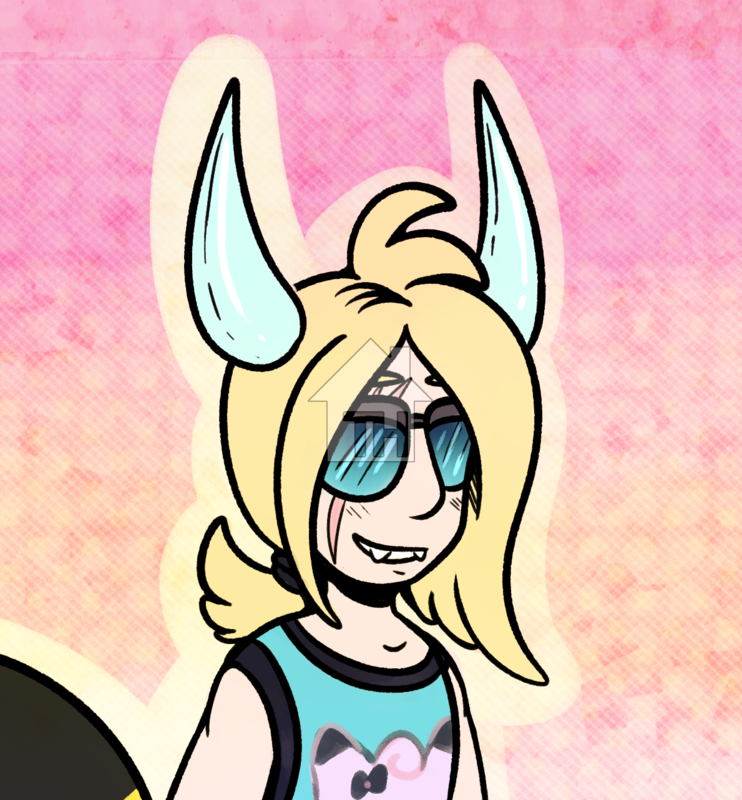 can transform between having horns and tail or not having horns and tail, as a part of his incubus powers.